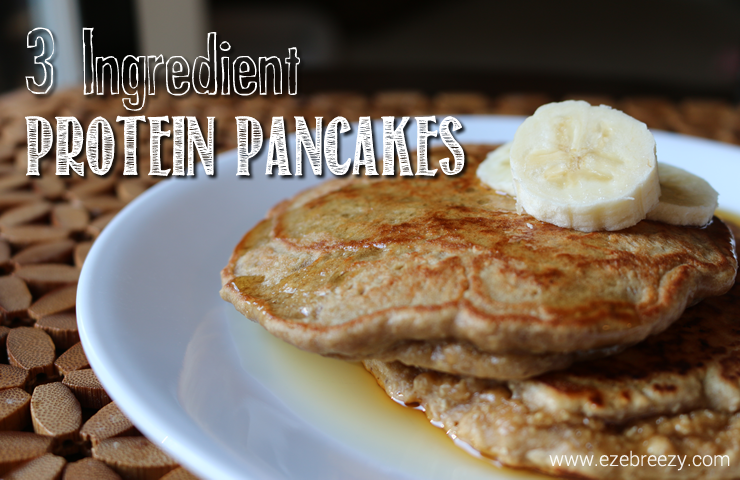 I love when I can keep things super simple, especially when it comes to cooking in the kitchen. 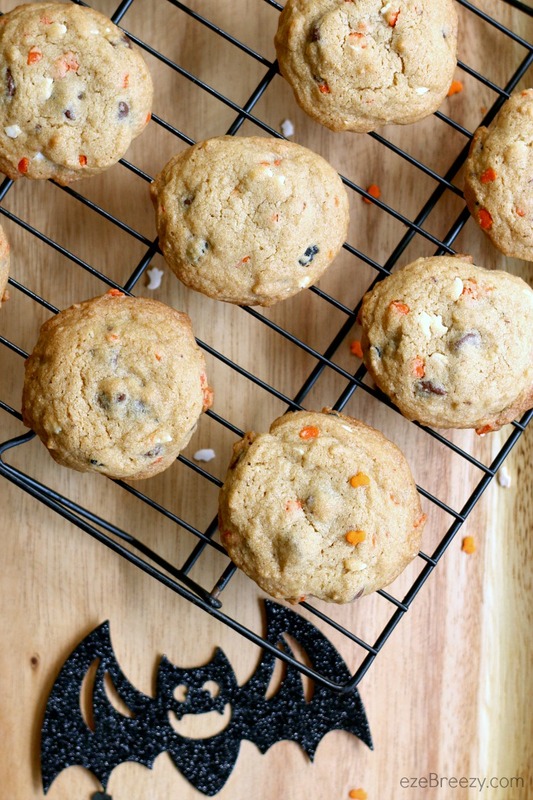 These 4 Ingredient Halloween Cookies are just that – simple and easy to make! This post contains affiliate links which means if you buy something through one of the links, I may get paid a small amount that helps us keep ezeBreezy – Life Simplified up and going. 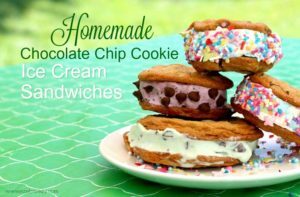 These yummy cookies use just 4 ingredients and can be whipped up in about 5 minutes. 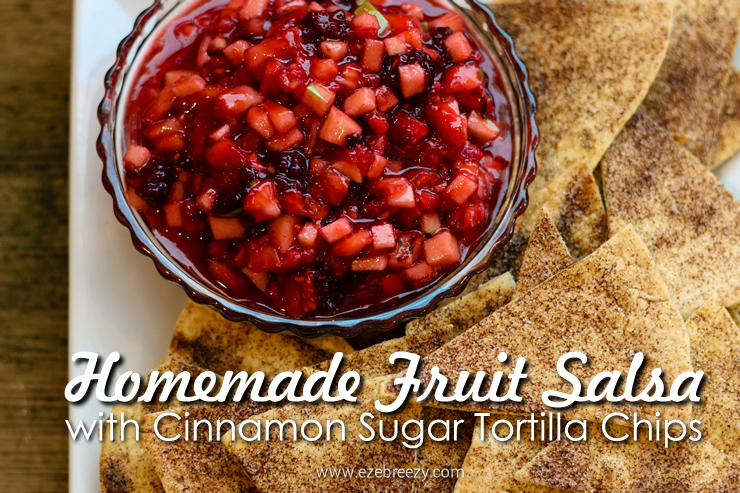 This recipe is so easy to make and the perfect way to get your kids cooking in the kitchen. I love chocolate chip cookies. I mean LOVE! 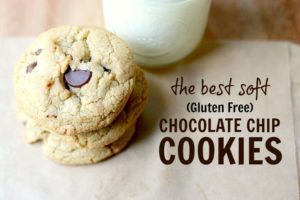 There is just nothing better to satisfy that sweet craving than a chewy, gooey, chocolate chip cookie with crisp, golden brown edges and a tall glass of milk. Am I right? 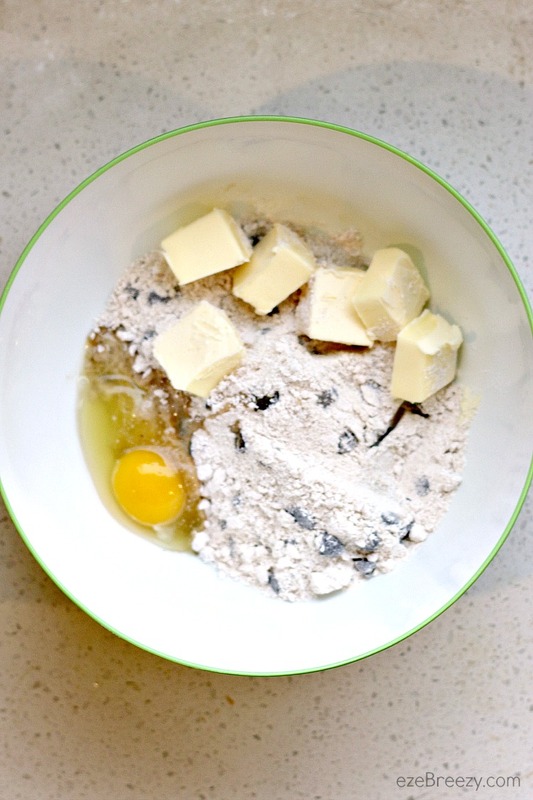 It took me years and endless batches of cookies to finally find my favorite homemade chocolate chip cookie recipe. 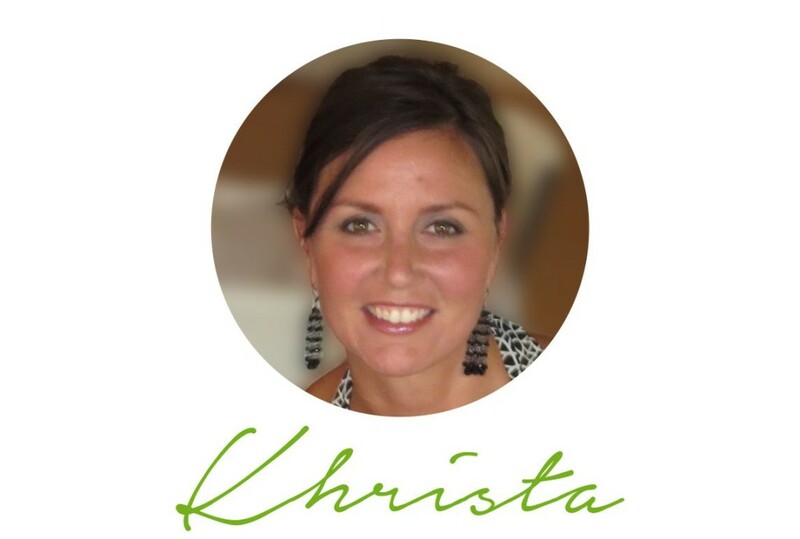 Stop by and give it a try…you won’t be sorry! But sometimes, I am short of time when chocolate chip cookie craving hits so I like to keep a box of my favorite cookie mix in the pantry. 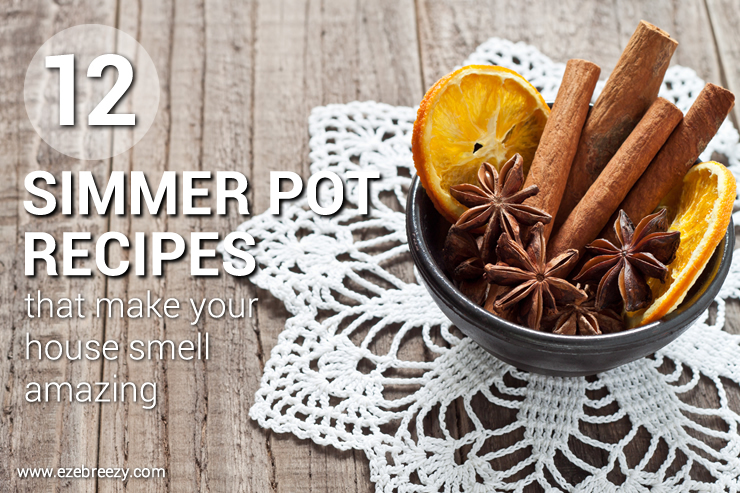 It always seems to come in handy…just like it did last weekend. My daughter and I were fighting a raging sweet-tooth and decided to make a quick batch of cookies. 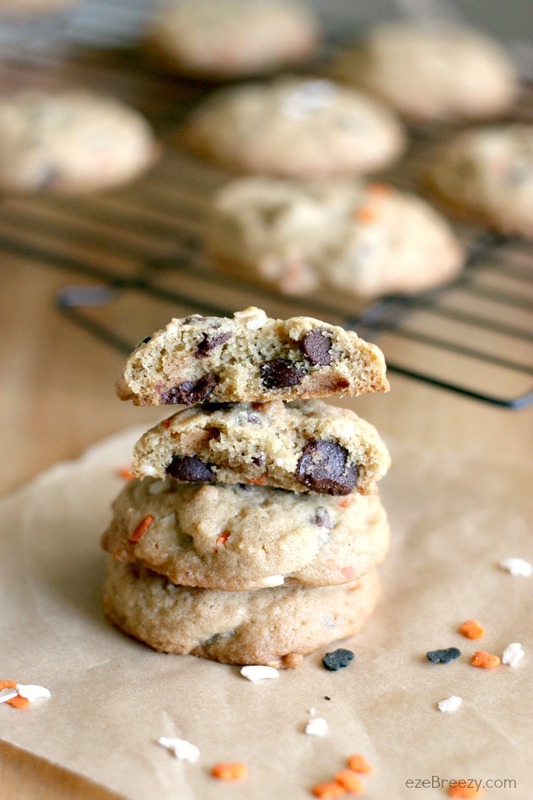 We put a little Halloween twist on our chocolate chip cookies but adding some festive Halloween sprinkles. It made the perfect Halloween cookie! 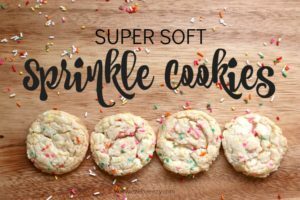 Adding sprinkles to any cookie mix is an easy way to add a little extra fun to your cookies. These 4 Ingredient Halloween cookies are a great seasonal spin on the traditional chocolate chip cookie. 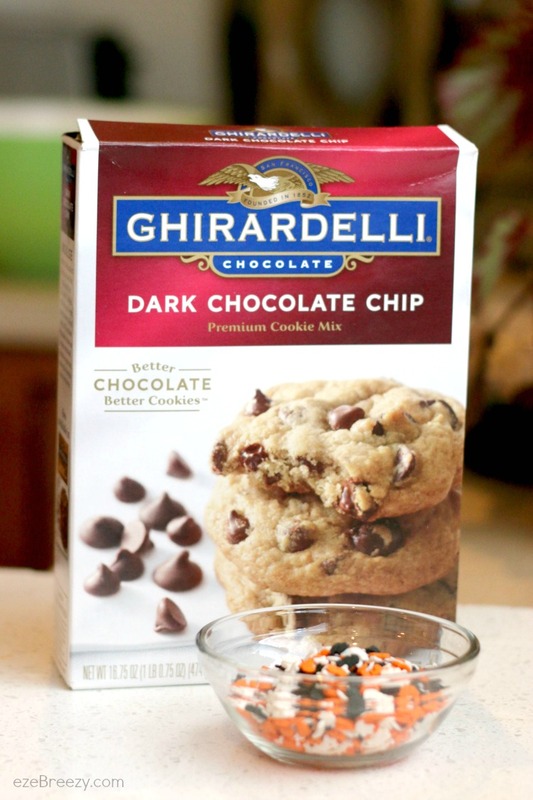 All you need is a box of cookie mix and some sprinkles. 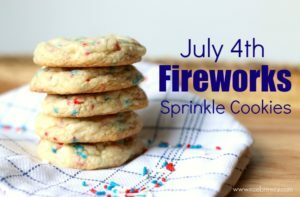 I’m calling this a 4 ingredient cookie recipe because the box recipe calls for the mix, eggs and butter…add those sprinkles and you’re up to 4 ingredients. Easy-peazy! 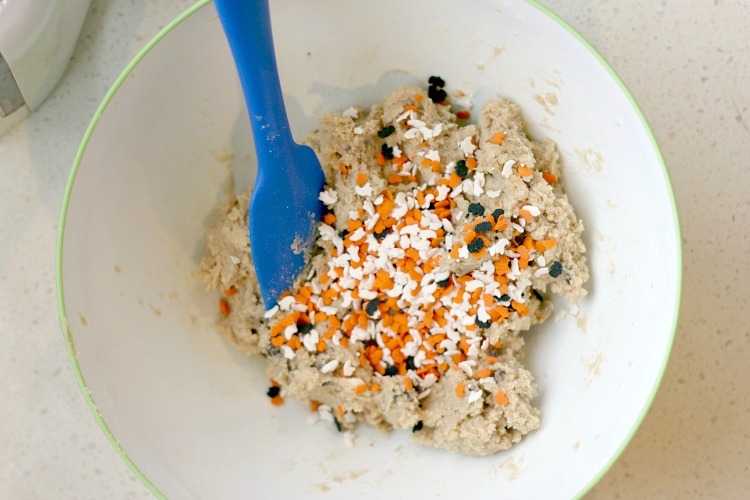 Once you mix the 4 ingredients in a large bowl, you’ll add the Halloween sprinkles and mix. 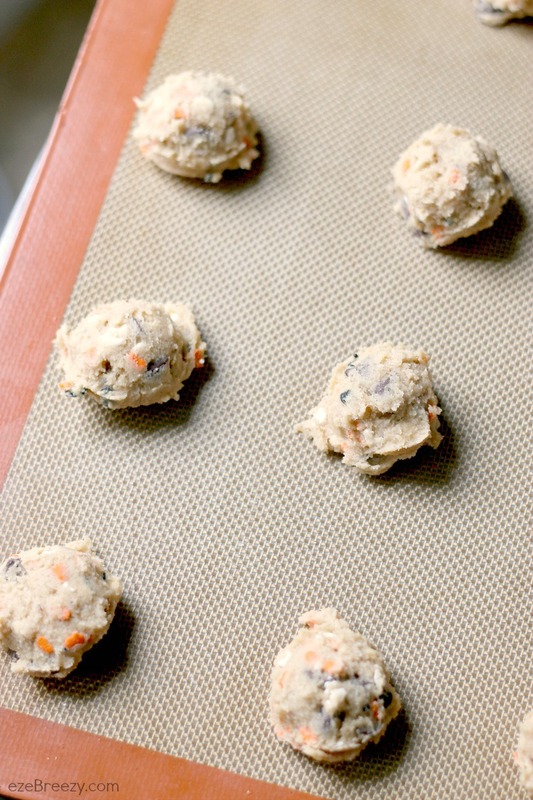 Roll the cookie dough into balls and place on a baking sheet. I always use my trusty cookie scoop for this job. The cookies some out baked perfectly because they are all the same size. And you can use this scoop for so many other things. In fact, I use it to make these kid-friendly meatballs. These meatballs are definitely a staple in our house. Now back to the baking! After about 8-10 minutes, you’ll have a batch of delicious, gooey Halloween cookies your whole family will love. Your family…your friends…neighbors. I think you get the point. Mix cookie dough according to box directions. Add sprinkles and stir until incorporated. Bake 8-10 minutes until edges are golden brown. Cool for 5 minutes and then remove from cookie sheet. 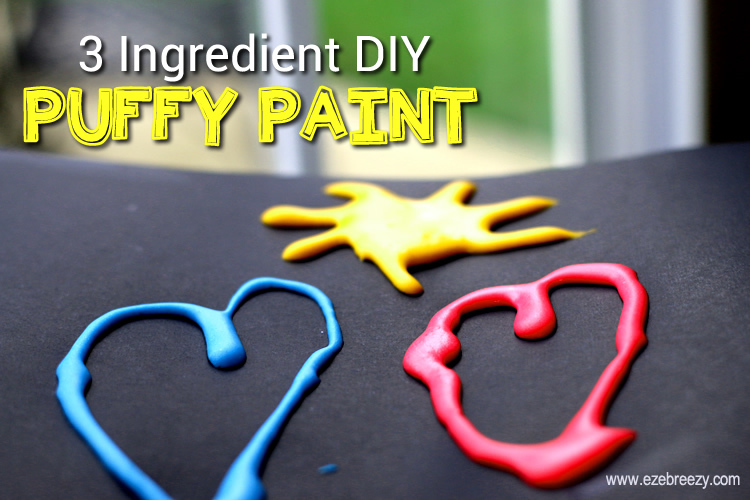 For more fun craft ideas and delicious recipes, keep in touch with ezeBreezy – Life Simplified on Facebook, Pinterest and Instagram!